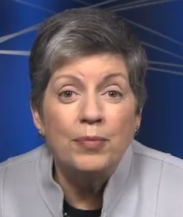 Today the attacks on Napolitano turned even more caustic, with the announcement by both DHS and Walmart that Walmart had joined the DHS-operated “If You See Something, Say Something” campaign. Walmart issued a news release today saying it was proud to become part of the campaign, linking its announcement to a 44-second DHS video that will begin playing in 588 Walmart stores across the United States in the coming weeks . Snarky, vile comments were posted on the DHS YouTube site in response to the video — some of the sort that made the “Big Sis” slam seem almost like a compliment. Walmart, though, is not alone in backing the campaign. Other DHS partners in the campaign include Mall of America, the American Hotel & Lodging Association, Amtrak, the Washington Metropolitan Area Transit Authority, sports and general aviation industries and state and local fusion centers across the country. “Black Friday” is the day after Thanksgiving in the United States, and has become a day filled with heavy retail shopping and community events. The suspect in the foiled Portland attack allegedly told the FBI that the plot would be less apt to be detected because the city was not front-and-center on law enforcement’s antiterrorism radar screens. “. . . it’s in Oregon; and Oregon, like, you know, nobody ever thinks about it,” the FBI quoted the Portland suspect as saying. There also have been bizarre events this year in which Walmart’s name was appropriated by members of murky multilevel-marketing businesses. Members of MLM programs known as Narc That Car/Crowd Sourcing International and Data Network Affiliates/OWOW instructed prospects to take photos of the license plates of cars parked at Walmart and other large retail stores. The plate numbers purportedly were to be entered into databases controlled by the MLM firms as a means of helping law enforcement and the AMBER Alert program rescue abducted children. No evidence has surfaced that either of the MLM firms has any tie to the AMBER Alert program, which is administered by the U.S. Department of Justice and the National Center for Missing and Exploited Children. Meanwhile, bizarre promos for an MLM program known as MPB Today routinely used Walmart or its branding materials as backdrops for a purported program that suggested a one-time, $200 purchase from MPB Today could lead to free groceries for life. One of the promos painted President Obama and Secretary of State Hillary Clinton as Nazis. Another urged MPB Today affiliates who were not fans of Walmart to lay down their pipe bombs. In its news release announcing it had joined the “If You See Something, Say Something” campaign, Walmart urged customers to support the program, but did not say precisely why it had made the decison to become to first national retailer to partner with DHS. The US Department of Homeland Security has joined forces with the most relentless and observant patrol force available in the US – Walmart shoppers. is wal-mart still doing this? i stopped hopping there when i read about it last December. Does anyone still shop there (hardy souls) and know about this?